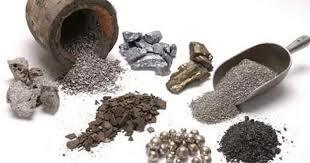 Heavy metal poisoning is rampant and may contribute to hormonal imbalances, cancer, thyroid problems, neurological disturbances, learning problems, depression, food allergies, parasites, etc. 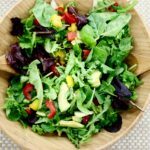 This is a great recipe that is not only easy to make, but also really yummy, and it tells you how to remove heavy metals from the body! Cilantro is truly a healing food. One friend suffering from high blood pressure due to mercury poisoning had her blood pressure return to normal after eating 2 teaspoons of this pesto daily for only a week. So whether you need to detoxify heavy metals from your body or just wish to use it as a preventative measure, 2 teaspoons a day is all you need to take. This pesto has now become a regular in my diet. Enjoy! 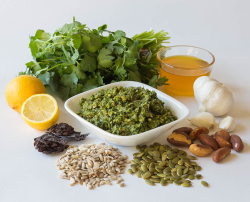 Process the cilantro and flaxseed oil in a blender until the coriander is chopped. Add the garlic, nuts, seeds, dulse powder and lemon juice. Mix until the mixture is finely blended into a paste. Add a pinch of sea salt to taste and blend again. Store in a dark glass jar, if possible. 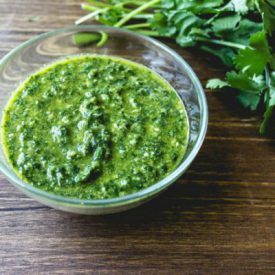 Recipe freezes well, so purchase cilantro in season and make enough to last all year.Cilantro has been proven to chelate toxic metals from our bodies in a relatively short period of time. Combined with the benefits of the other ingredients, this recipe is a powerful tissue cleanser.Two teaspoons of this pesto daily for 3 weeks is purportedly enough to increase the urinary excretion of mercury, lead and aluminum, thus effectively removing these toxic metals from our bodies. We can consider doing this cleanse for 3 weeks at least once a year.